« What is the Key to Your Universe? 3. 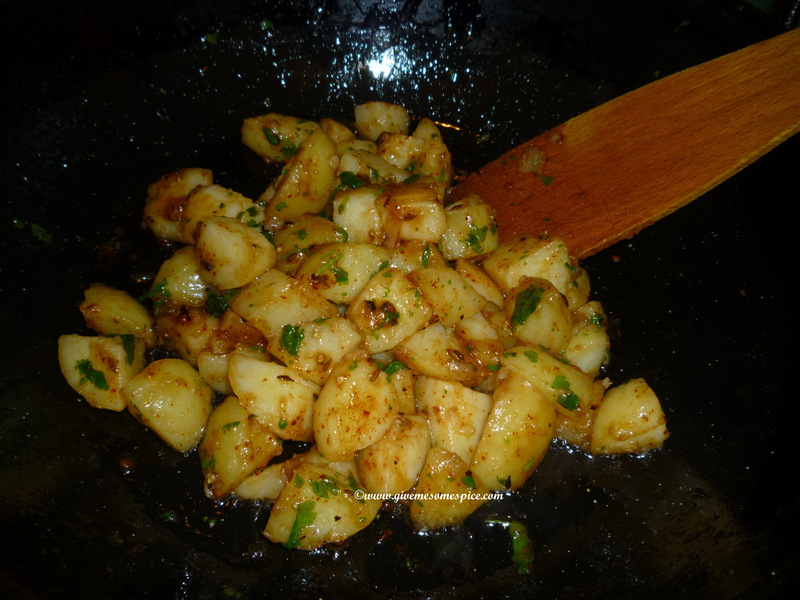 Heat the oil and add the cumin seeds. 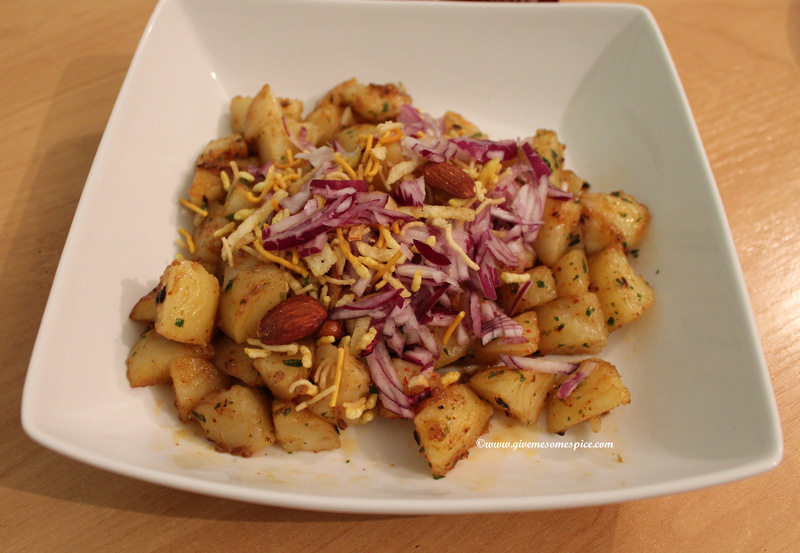 Once the seeds get dark, add the chopped potatoes and toss them lightly. Add the salt. chili powder, cumin and coriander powder, sugar, lemon juice, tamarind sauce and chopped coriander and allow this to cook until the potatoes look nice and crispy. 4. 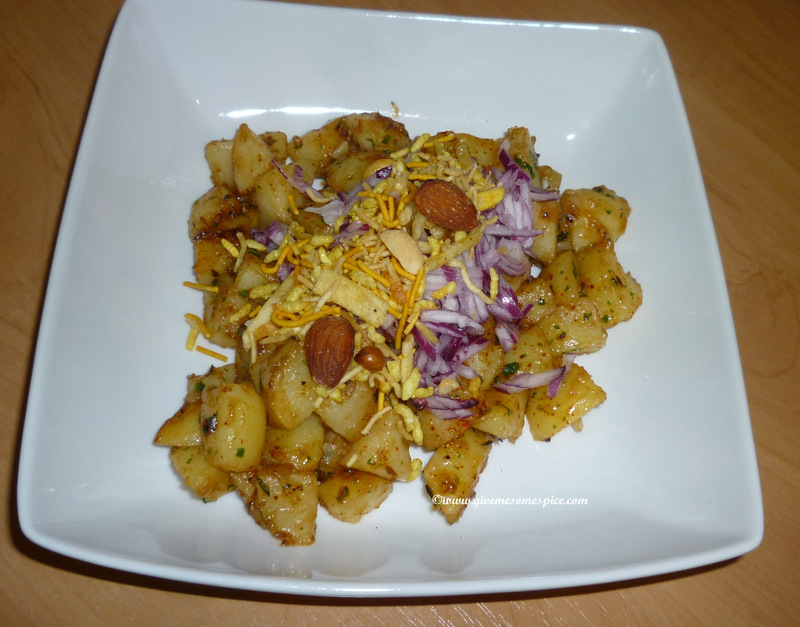 Remove the potatoes into 2 serving bowls. Chop the onion finely and sprinkle it on the potatoes. Top this with sev mamra, nuts and finely chopped green chilies to give it a bit of crunch and heat. 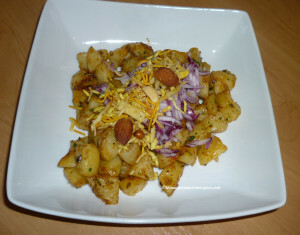 You can add more tamarind sauce to the alu chaat if you like your potatoes to be a bit tangy.